Maine again gets strong goaltending from Brandon Halverson and earns its third consecutive win. 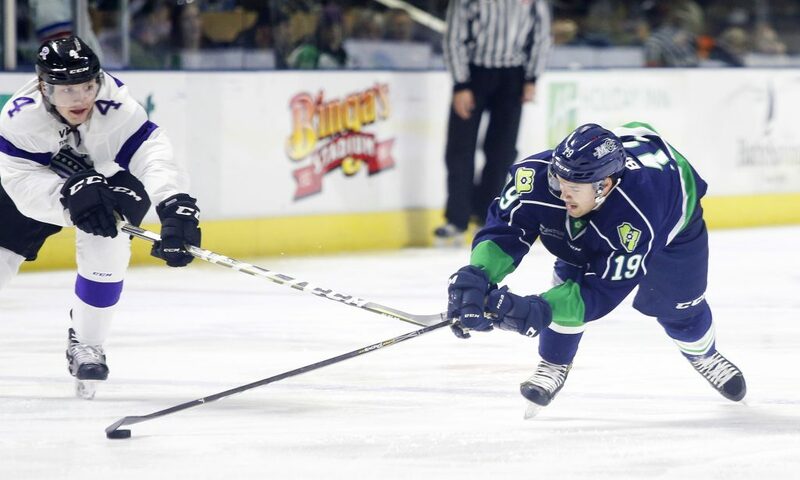 After making his National Hockey League debut last season, Brandon Halverson wasn’t thrilled to open this year two rungs below with the Maine Mariners. Hard as he tried to mask his disappointment, it leaked into his goaltending, and the Mariners didn’t win a game in October with him in net. November? That’s a different story. 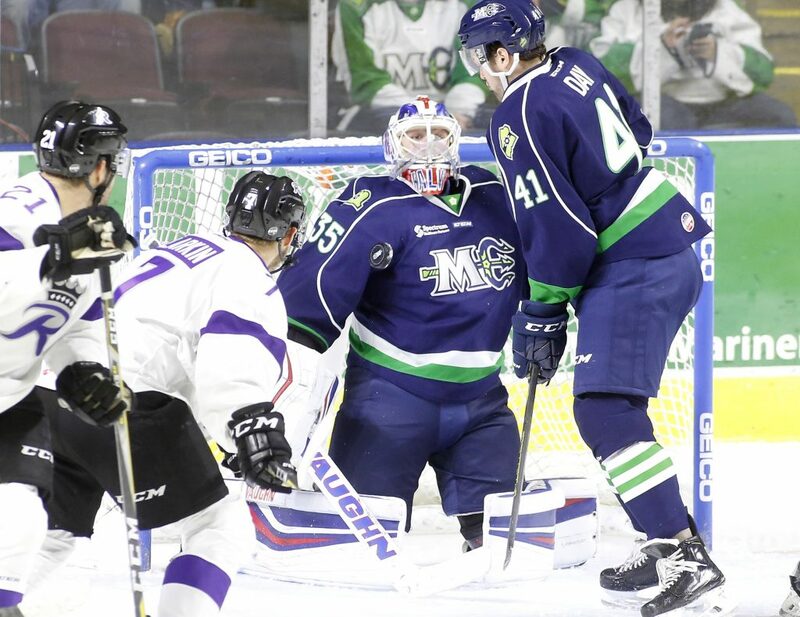 Halverson made 35 saves Wednesday night for his sixth straight victory as the Mariners jumped to an early lead and held on for a 4-1 ECHL win over the Reading Royals before a crowd of 1,311 at Cross Insurance Arena. Halverson’s most spectacular save came late in the first period after Maine jumped to a 2-0 lead. 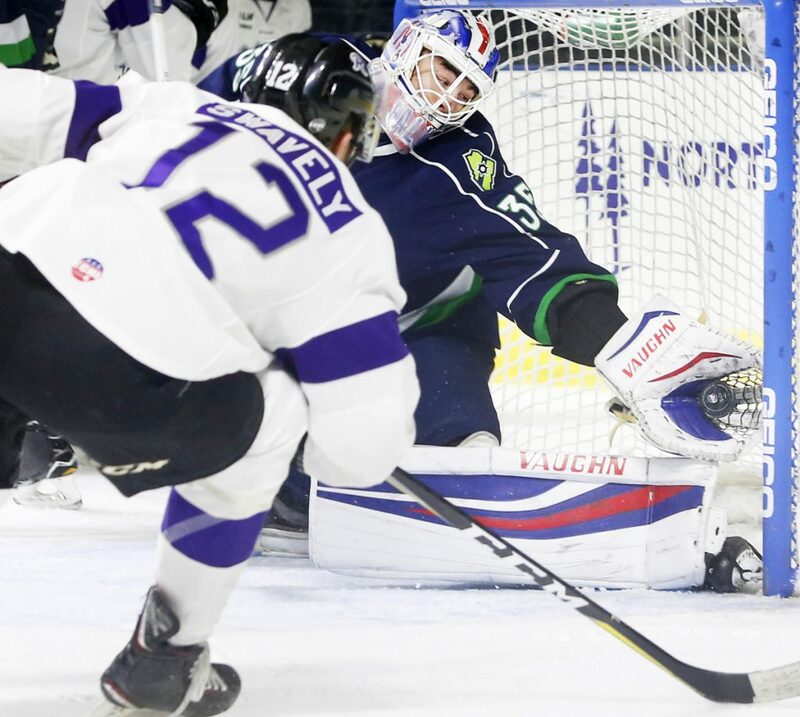 With the puck in the corner to his right, he anticipated Reading’s Steven Swavely bearing down on net from the opposite side and robbed the former UMaine Black Bear with a diving glove save after a pass zipped through the crease to Swavely’s stick. Reading’s only goal came in the final minute of the second period when Swavely found an opening from the left circle to make it 3-1. The only scoring in the third was Vince Pedrie’s empty-netter from behind his blue line. The Mariners (9-6-0-1) have won three in a row and have earned at least a point in eight of nine games this month, which started with a 3-2 shootout loss to Reading in Portland. At home, the Mariners have won four in a row. Reading came away without a point for the first time in nine road games this season. 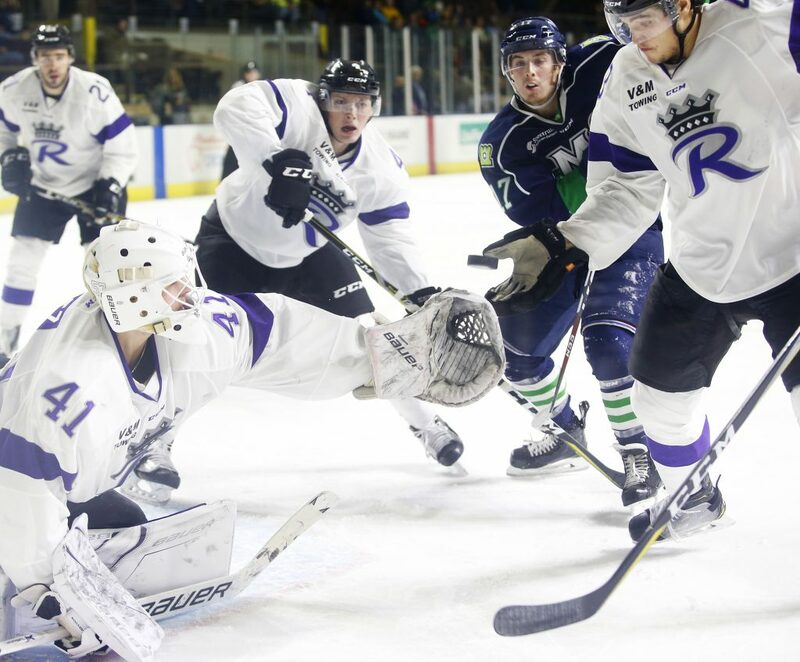 The Royals had a 36-28 advantage in shots, but Halverson was too good. 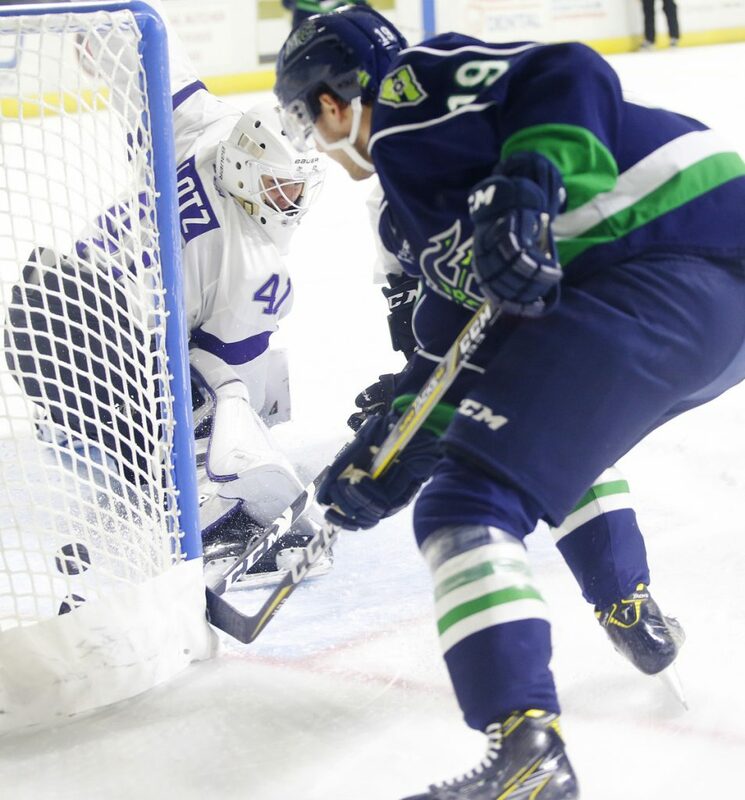 “That was his best game since he’s been here,” said forward Alex Kile, who opened the scoring six minutes into the game, getting his first goal with the Mariners since a nearly three-week loan to Utica of the AHL. A little more than two minutes later, halfway through a Reading power play, Morgan Adams-Moisan intercepted a breakout pass at the blue line. He skated to the top of the right circle and uncorked a wrist shot into the top right corner. The second period included a fight between Maine’s Derek Pratt and Reading’s Adam Marsh after Marsh cross-checked Ty Ronning into the end boards. 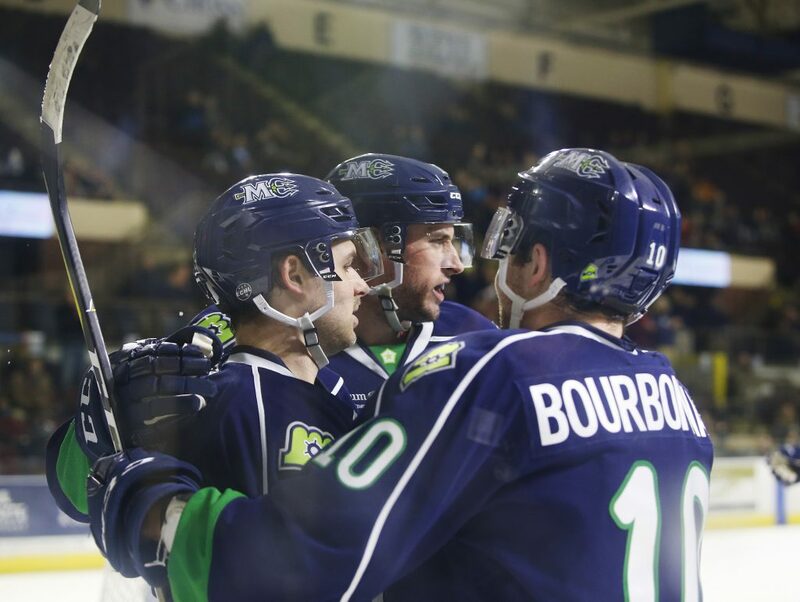 The Mariners went ahead 3-0 midway through the period on a power-play goal by Alec Baer, set up by Ryan Ferrill and Riley Bourbonnais. 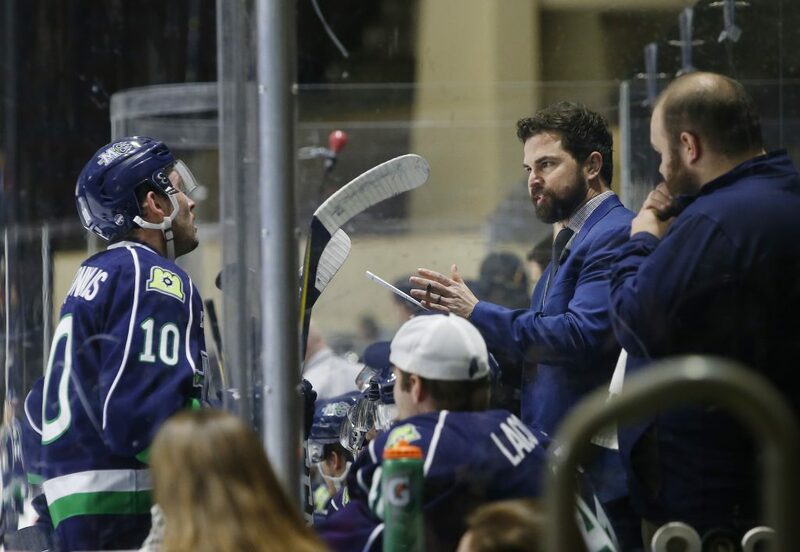 NOTES: The Mariners return to action Friday night against the Worcester Railers. … On this date 10 years ago, Armstrong made his NHL debut with San Jose in a 3-2 win over the Phoenix Coyotes. He played just one more NHL game before returning to the minors.